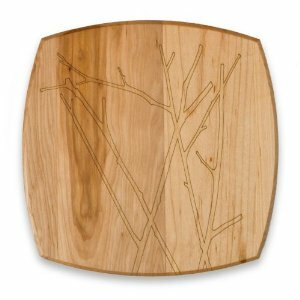 Perfect for dinner parties and special occasions, these eco-friendly dinner plates are handcrafted in Dorset, VT, USA from maple wood that is harvested from managed North American hardwood forests. Laser etched with a twig pattern, unfinished. 7 x 7 in.